This series of articles was originally written for UKC, offering information and insight into different aspects of training. 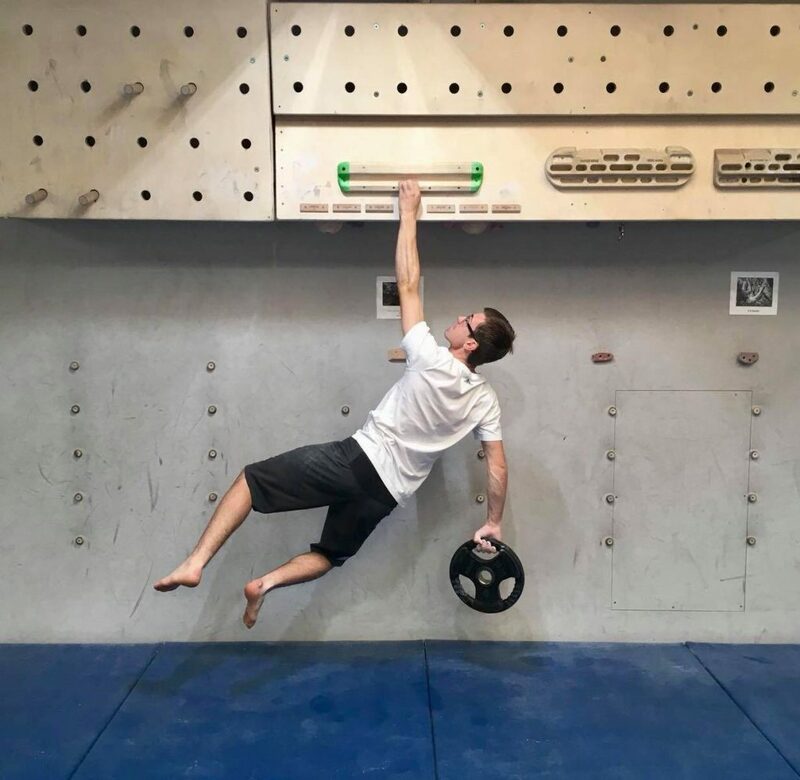 In this blogpost, Tom talks about conditioning and mobility; why they matter, different exercises for each, and how conditioning and mobility can improve your general climbing performance. Find the original UKC article here. 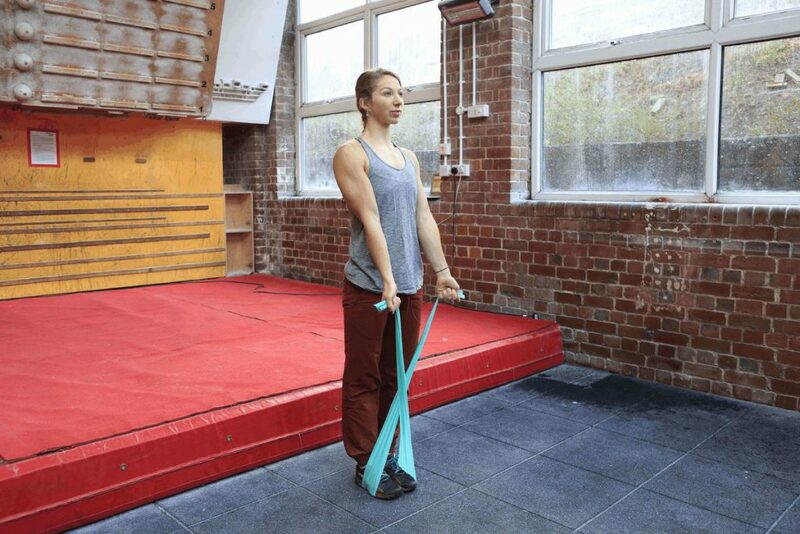 For the purposes of this article, I’m going to consider both conditioning and mobility as fundamental pillars of athletic performance – those foundational aspects of climbing and training that will underpin your long term progression and also sporting health. They’re both huge subject areas and somewhat intermingled in terms of definitions, so I’ll try and keep the information concise and directed. It’s certainly possible to spend days, if not weeks discussing both of these topics! Maddie Cope doing The Typewriter. What are conditioning and mobility? Strictly speaking, conditioning should be considered “physical fitness” and therefore an aspect of any athlete’s profile that covers anything from maximal strength all the way through to endurance capacity. It also has massive benefits for any athlete and the list is pretty long; increased confidence, improved recovery rates, cognitive improvements, more refined skills, better health, the list goes on… For the purposes of this article though (and also an approach that I take when trying to get clients to work on “conditioning”) I want to define it as the physical fitness training we do that’s non-specific to climbing. If we’re nit-picking I could also refer to it as low-specificity as some of the exercises you’ll see in the app certainly have a degree of specificity. This term (or flexibility if you prefer) is referring to the range of movement a limb has around a joint. Interestingly, it’s also one of the most neglected areas of training by climbers, but one that could have huge impacts on performance. Mobility is made up of three parts: muscle elasticity/length, joint structure and nervous system. An increase of mobility in athletes is an important factor in preventing injuries through unimpeded, fluid movement and can also decrease soreness and stiffness, particularly among athletes who train at much higher frequencies and intensities. Importantly (if you’re into the geeky stuff!) we should note that to achieve the highest levels of performance, we must utilise the full length of the muscle to exhibit power and strength. Why should we try and consistently improve our mobility/flexibility? Why work on our general conditioning? 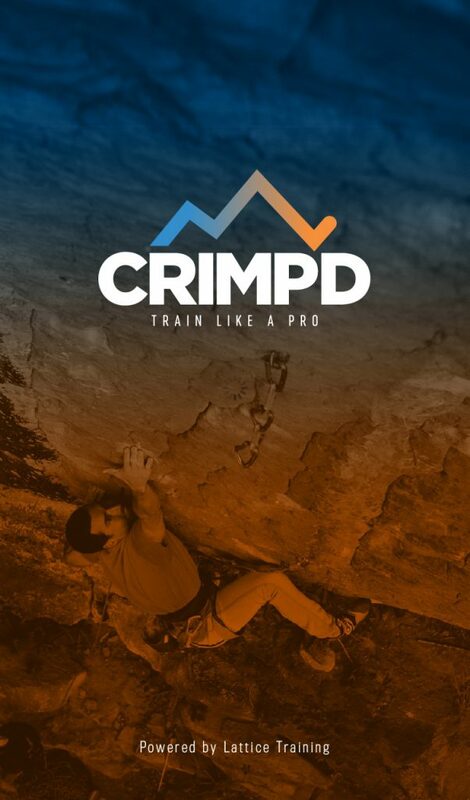 In the Crimpd app we’ve broken conditioning and mobility into antagonist muscles, core, flexibility and upper body. For the purposes of concision, we’re going to focus on core and flexibility. 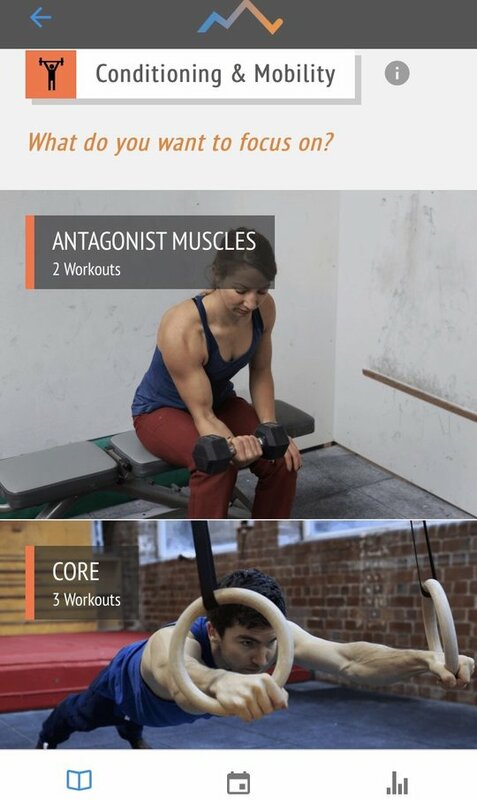 Let’s take an example workout from the app, which is Floor Core. This session is one that sets the climber the task of completing three different floor exercises, each with 3 sets in total. The intensity should be set at a moderate level to start with, so that you’re comfortably completing all sets with excellent form and not approaching exhaustion. It’s far better to aim for the best form and higher total volume to start with, so that you become conditioned to the exercises and are ready to push the intensity harder. 3 sets of 3 different exercises. The intensity of exercise should be low enough to allow excellent form throughout. Ask a friend for support/assistance if you’re struggling. Ensure that your lower back is not allowed to arch. For all conditioning sessions, it’s important that form is excellent throughout and session quality is high. If you suffer loss of either, stop for the day and make some adjustments for your next session. Both static and dynamic training are important to increase mobility and to enhance performance. Dynamic flexibility is important for increasing movement through full ranges of motion and has a higher degree of sport specificity. Static flexibility, on the other hand, is effective in increasing overall mobility to the extremes and increased joint ROM. Your training should be performed when properly warmed up and ideally, be included up to 5-7 days a week for all sport-specific joints. Stretching should be to the point of mild discomfort but not to the point of pain. 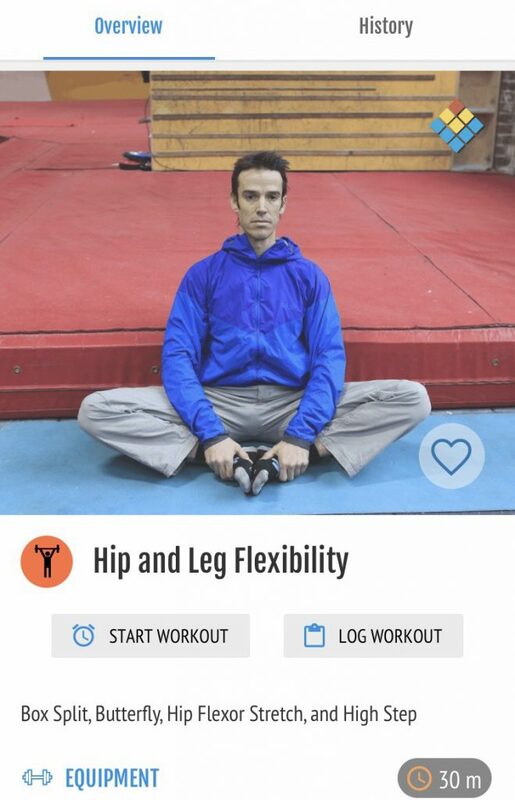 A good example of static stretching that’s sport-specific would be a session found in the Crimpd app called “Hip and Leg Flexibility.” It can easily be performed at home or used as part of a warm down at the end of a climbing session. Only stretch to a point of mild discomfort and not pain. If you don’t feel stable in the stretching position, ask a friend to help support. These two forms of training are both hugely beneficial to boulderers and route climbers! 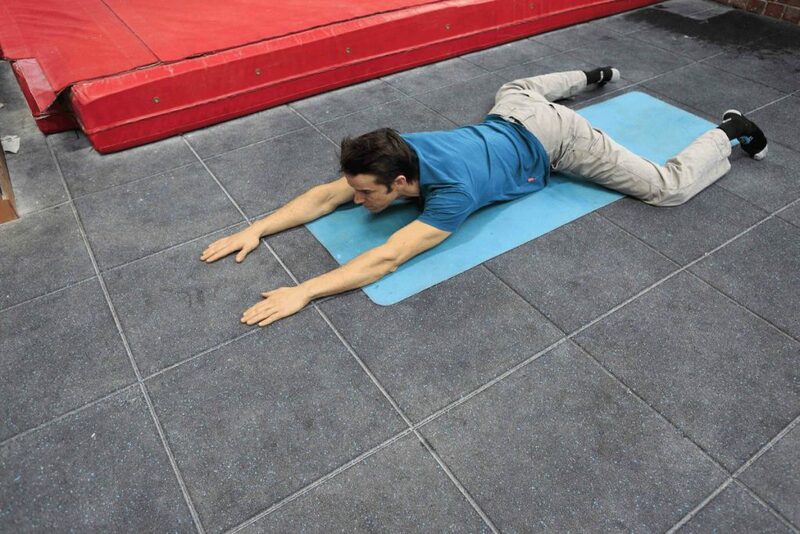 We use conditioning and mobility work throughout the climber’s year and we really value this form of training. The benefits from it are significant and underpin much of the sport-specific work that’s done on the climbing wall. Both route climbers and boulders should focus relatively more time on conditioning and mobility during “base” periods of their training seasons as this form of training has a lower level of specificity and may use up precious time that could be spent elsewhere during “peak” periods. With any climber, it’s important to vary the exercise methods over the months and not get fixated on one particular protocol or intensity. It’s also important to note that both conditioning and mobility should be used on the upper and lower body. It’s all too easy to forget our lower limbs as climbers! As a very rough guide, we would expect both boulderers and route climbers to do 2-3 sessions per week (depending on training history) and more if solely looking at mobility. With both forms of exercise, do not continue to do them if they’re causing pain. Regular conditioning and mobility training will increase your sport performance and general athletic health. Long term improvements in both will lead to a longer climbing career and lower injury rates. Both should be used regularly and with relatively high volume during base periods of training. Specificity of exercise protocols should be increased when approaching peak periods and overall volume reduced. Your training should take into account your training history, past/present injuries, physical profile and goals.